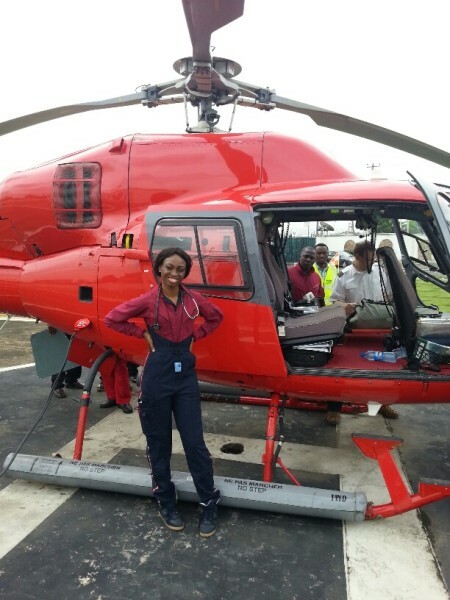 Founder of West Africa’s first Air Ambulance services The Flying Doctors and social commentator, Ola Orekunrin Brown has joined the growing lists of individuals calling the government’s attention to the rot in Nigeria’s healthcare sector which has been left unattended to by successive governments and the current administration. President Buhari and this present administration has done absolutely nothing to reverse the rot despite his experiences with foreign medicare that he has used consistently since assumption of office in May 2015. RELATED: Flood after flood wrecks Nigerian cities, when is death and destruction going to stop? The Book FIXING HEALTHCARE IN NIGERIA which was released to the public on Tuesday, October 9, 2018 contains a highlight of our current healthcare situation and practical solutions to reposition and restructure the healthcare system. The book which talks majorly on three pronged areas of healthcare financing, reinventing primary healthcare in Nigeria and the unreported child death epidemic in Nigeria could not have come at a better time than now. According to Ola, the first step at reversing the current rot in Nigeria’s healthcare system is through massive investment in the primary healthcare sector. Using what she tagged the “Dangote model of cement distribution” which is a bottom-up model she believed that the best way to fast track the transformation expected in the sector should start with the primary healthcare centers. Even though they are currently inadequate, she addressed this by calling for more funding in the country’s healthcare sector which could come through budgetary provisions, taxation and funding from donor agencies. According to the writer, a viable primary healthcare center apart from taking healthcare to the grassroots will help in reducing the pressure on the secondary and tertiary health care sectors which are usually besieged by individuals battling common ailments like catarrh, back pain and headache. The functionality of the PHCs will prevent overcrowding of these centers and improve their efficiency in Trauma and other major healthcare services. She also used the concluding part of the book to address an unreported epidemic in Nigeria as relating to child death. According to the United Nation, One million Nigerian children die annually. This huge figure shows the high rate of child mortality in the country that we have failed to talk about apparently due to cultural and spiritual reasons. We’ve accepted child death in the country as a “norm”. Two main reasons why children die according to her includes Lack of community-based primary care services and Lack of specialist care expertise which return us back to the need for us to have a functional primary healthcare services. At the moment, only 20% PHCs are functioning in a country with over 180m people. This means we have an emergency situation at hand. Nigeria at the moment is battling massive heath crisis that we have underplayed but it is important we accept the reality. Apart from this book, all available indices have shown that. The doctor to patient ratio is low, the emergency services are not available while the sector continue to suffer brain drain continuously due to a poor working condition that has seen many of our good hands leaving Nigeria for other parts of the world in search of greener pastures. Through this book, Dr. Ola Orekunrin has pricked the conscience of the sleeping stakeholders in Nigeria’s Healthcare sector and it will be commendable for them to react with positive action. A member of the American College of Emergency Physicians and International editor of the Journal of Emergency Services, Ola Orekunrin is a recipient of the prestigious Future Awards Entrepreneur of the year Award.